The POV candleholder in oval by Menu belongs to the POV series, which was designed by Note Design Studio and is a great addition to the circular POV candleholders. Like the round candleholder, the oval shape automatically directs the observer's gaze to the light source in the centre of the holder for the wall. The result is a sculptural decoration that provides warm and pleasant light. The table lamp is made from powder-coated steel in black with details made of brass. The candleholder is suitable for a conventional rod candle, which is perfectly set in scene by the POV design and provides an eye-catcher not only on cold, dark days. While a candlestick creates a minimalist silhouette on the wall, several of them together form an artistic mosaic. 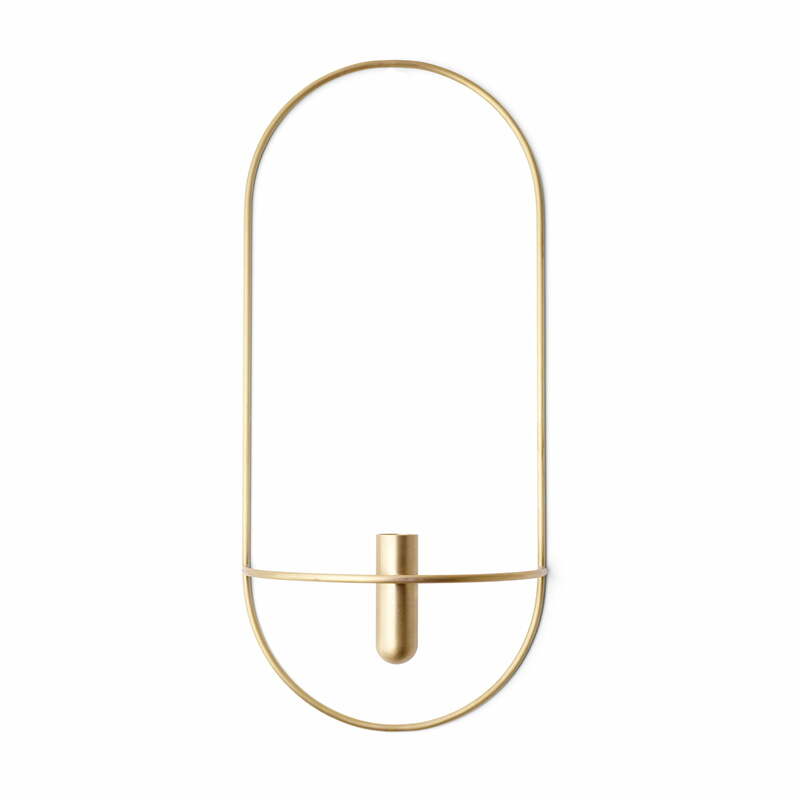 POV candleholder oval by Menu in brass: Like the round candleholder, the oval shape automatically directs the observer's gaze to the light source in the centre of the holder for the wall. 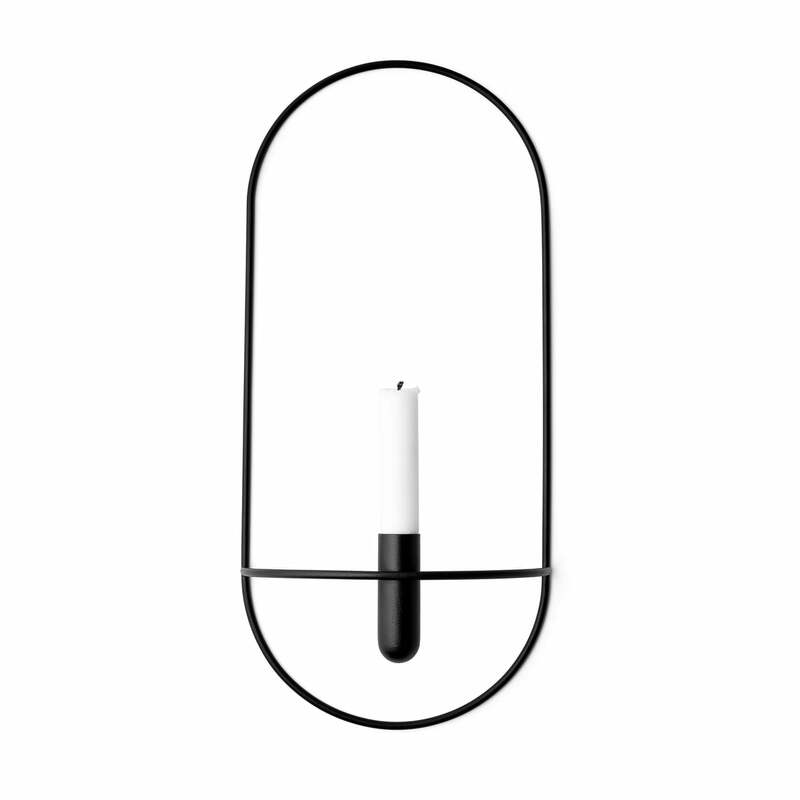 Isolated product image of the POV oval candleholder by Menu in black. The POV oval candleholder from Menu belongs to the POV series designed by Note Design Studio.